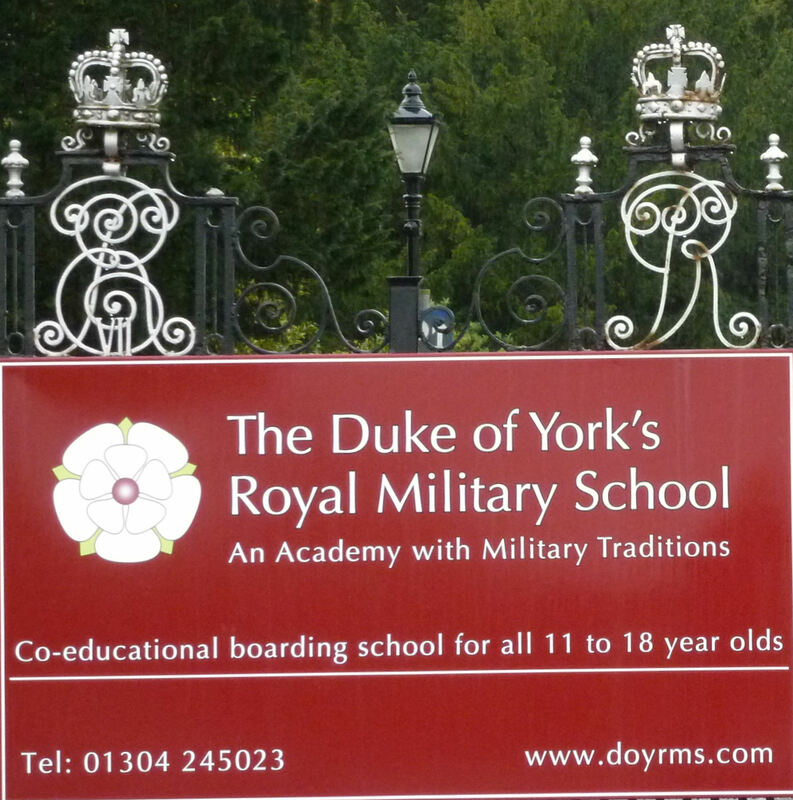 The original Duke of York’s Royal Military School was founded in 1803 by an 1801 Royal Warrant. Called the Royal Military Asylum it was located in Chelsea. 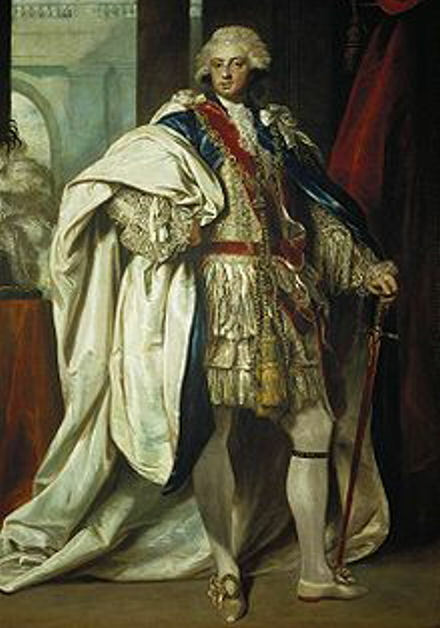 It was the time of the Napoleonic Wars (1793-1815) and Frederick Augustus, Duke of York (1763-1827), second son of George III (1760-1820), was the Commander in Chief of the British Army. It was he who was concerned over the increasing number of neglected orphans of soldiers that had fallen during the Wars and prepared to do something about it. The scheme that the Prince had advocated in 1801 was modified and he laid the foundation stone of the school that opened two years later. The first child was the orphaned John Evans, the son of Corporal Evans of the 81st Regiment and by 1806, the school was accommodating some 1,000 orphans. This was to rise to 1,250 and to help with the accommodation a subsidiary school was opened in 1817 at Southampton. This eventually became the girls’ school and was followed by an infant school on the Isle of Wight. 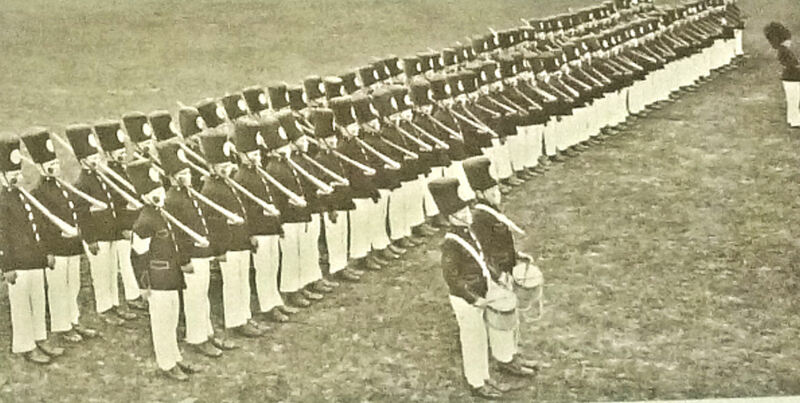 The children wore a uniform consisting of a red bob-tailed coat, white starched collar, blue skirts for girls / knee britches for boys, low shoes with brass buckles, starched mop caps for girls/ leather caps for boys. The ‘teachers ‘ – retired sergeants – wore red bob-tailed coats with white waistcoat and breeches, black gaiters, cockade hats, white wigs with a tail and they all carried a sword. The co-educational aspect of the school ceased in 1840 when both the Southampton and Isle of Wight schools closed. At the time, the country was in a severe economic depression that was to continue deteriorating. In 1849, there were talks of cutting back or closing the Royal Military Asylum and Hibernian School, Dublin – that latter was for the orphaned sons of Irish soldiers and dated back to 1769. 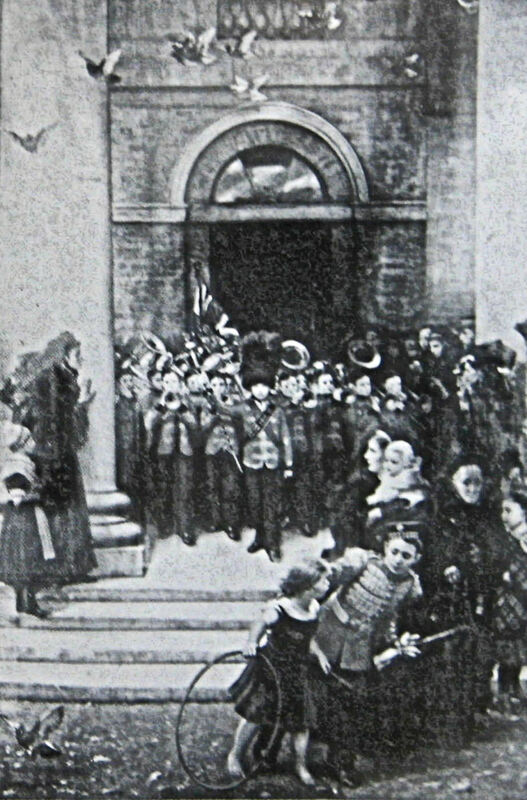 In the House of Lords report of the time, both schools were described as places ‘of retreat for orphans of soldiers, and a nursery for military schoolmasters.‘ The joint cost of both establishments was given as £18,016 (29.03.1851) over what time scale this appertained was not given but the prevalent feeling was that the schools should close and premises be given over to barracks. However, Queen Victoria (1837-1901) stepped in and was adamant that neither school premises were to be closed. By this time, although the teachers were still retired sergeants, the school curriculum had changed to one devised by Dr Bell. The boys were taught reading, writing and arithmetic three days a week and a trade for three days. Sundays were spent in religious worship. Following the appointment of Walter McLeod as headmaster in 1846, the curriculum changed to that adopted by most public schools of the time and Army schoolmasters replaced the sergeants. The amount spent on nourishment, per boy, per day, was 6½d (3 pence) and ale was replaced with tea, cocoa and milk. The boys were taken on visits to London attractions but punishment was severe although typical of the time. The most common form of correction was ‘three dozen’ using a birch rod. 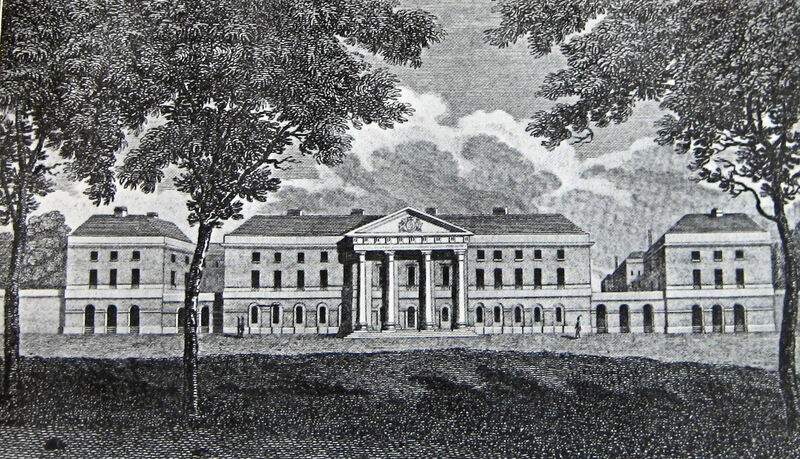 The Council for Military Education, in 1865, reported that there were 500 boys at the school and it was in favour of moving the Asylum to the neighbourhood of Wellington College, founded in 1859, at Crowthorne, Berkshire. The reason given was the boys were ‘on average two inches and one-fifth shorter and weighing 3½lbs less,‘ than comparative 14-year olds who attended Greenwich Hospital School. This was attributed to the unsuitability of the school premises. Nothing happened about the premises but the style of the school uniform was updated. By 1890, the government was looking for more army accommodation and the report of 1865 was used to justify the school being moved to the Chiltern Hills near Tring. Whether it was the fear of upsetting Queen Victoria or financial reasons, the scheme was put on hold. 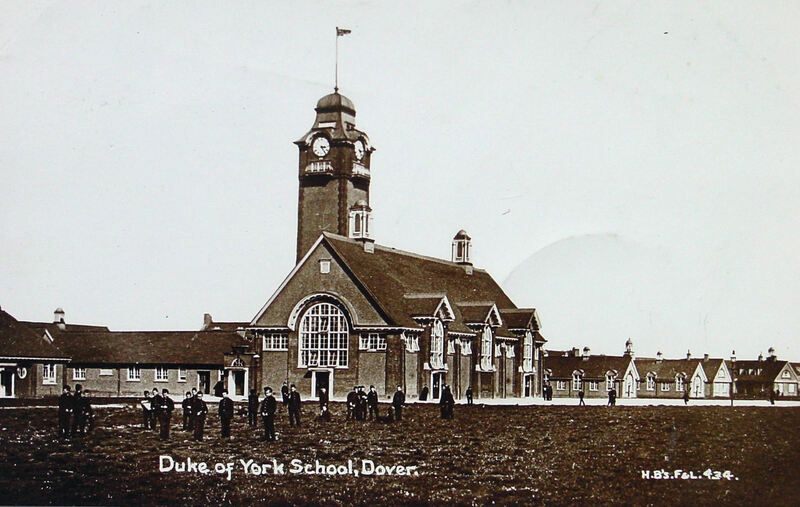 However, in 1892 the establishment was renamed The Duke of York’s Royal Military School and was for the Sons of the Brave. Victoria died in 1901 but it was another three years before a new location for the school was sought. 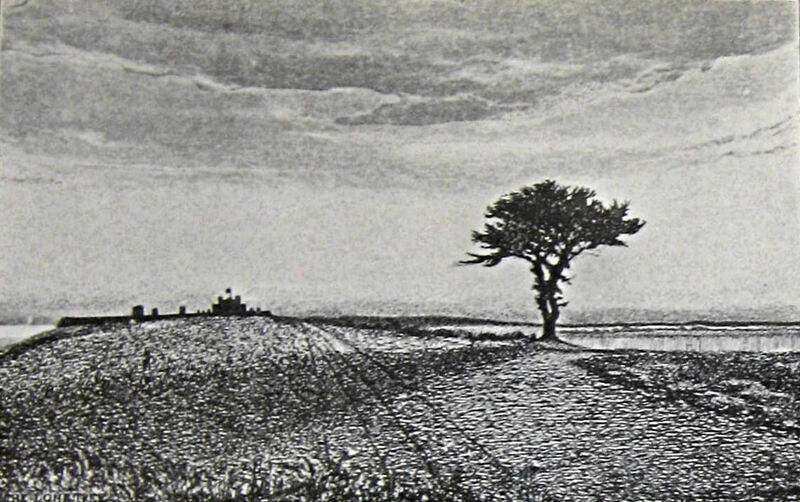 The 170-acre Lone Tree site, at Guston near Dover, was given approval and purchased in 1904. At the time, the site was barren except for one solitary tree, misshapen by the prevailing winds. So unmistakable was the tree that it featured on Ordnance Survey maps and Admiralty charts – the latter as a landmark guide to mariners. The next morning Donald’s regiment marched off without the missing man and Donald was so convinced that the crime would never be traced, he said nothing about what had happened. Many years passed and Donald, on his way to Scotland, was once again in Dover. Morbid curiosity took him to the scene of his crime and found that the branch had grown into the flourishing Lone tree. He then continued his journey. Guilt and remorse started to eat into Donald and when he finally reached Montrose, he confessed all to the minister of the Kirk. The minister took it upon himself to write to Dover’s town clerk, John Shipdem, who replied that although battered and bruised Donald’s comrade had recovered and was at that time serving on board an East Indiaman. Apparently, Donald was never punished for his crime and died in 1843 at the age of 94. The go ahead was given for building of a new Duke of York’s Royal Military school at Guston in 1905. The estimated cost was £215,986 and was expected to be financed from the sale of the 12-acre Chelsea site for housing. This value of that site was given at £315,000, which would pay for the school and conversion of the Chelsea site into barracks. However, in Chelsea, there was a public outcry that was partially pacified in 1910 when London County Council applied for the site to be used by the Territorial Army as their headquarters. As for the new school in Dover, a tender was accepted from Alfred Hudson & Co., of the Broadway, Westminster. Within weeks of starting construction work stopped much to the constination of the folks in Dover. At the end of 1906, the company was subject to a hearing at a Middlesex bankruptcy court when it was stated that Hudson’s liabilities amounted to £33,350 with assets of £440! A new Royal Warrant was issued in 1907 and Mr Dunne of Walmer was given the contract. This would provide work in Dover for the building of Admiralty Harbour was almost completed. Before Hudson lost the contract a branch line from the standard guaged Dover Martin Mill (Pearson Line) was built to carry material to the new school. On 20 November, Lady Grosvenor, the wife of Dover’s MP, George Wyndham, laid the foundation stone of the new school. Costing £215,086, it had its own swimming pool and post office and was ready in the spring of 1909. 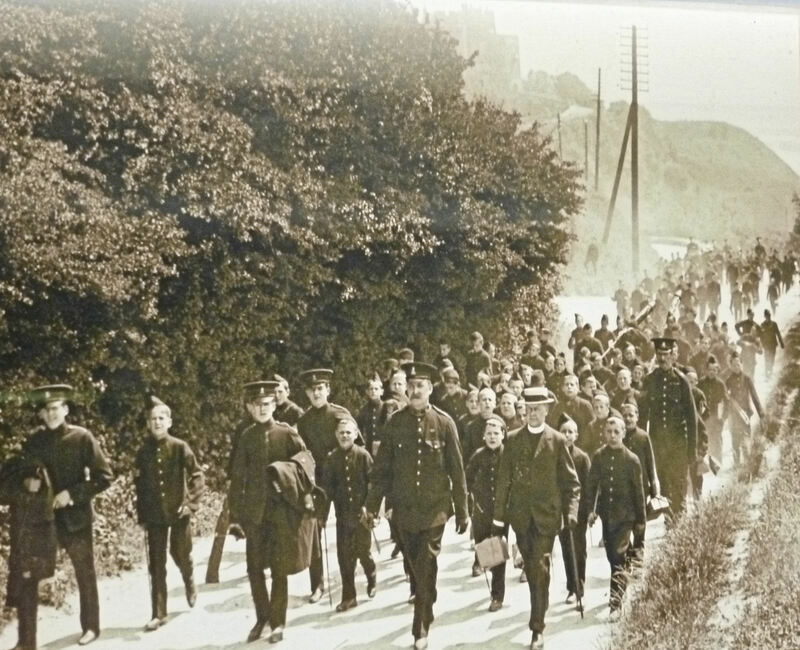 The first students arrived at Harbour Station 11 July and in their distinctive uniform, they marched through the town and up the hill to the new school. One can only guess what the boys and the staff felt that day, but the town rejoiced. The official opening of the school was on 15 July but there was no official celebration. Chaplain-General Bishop Taylor-Smith dedicated the chapel on 15 September that year. 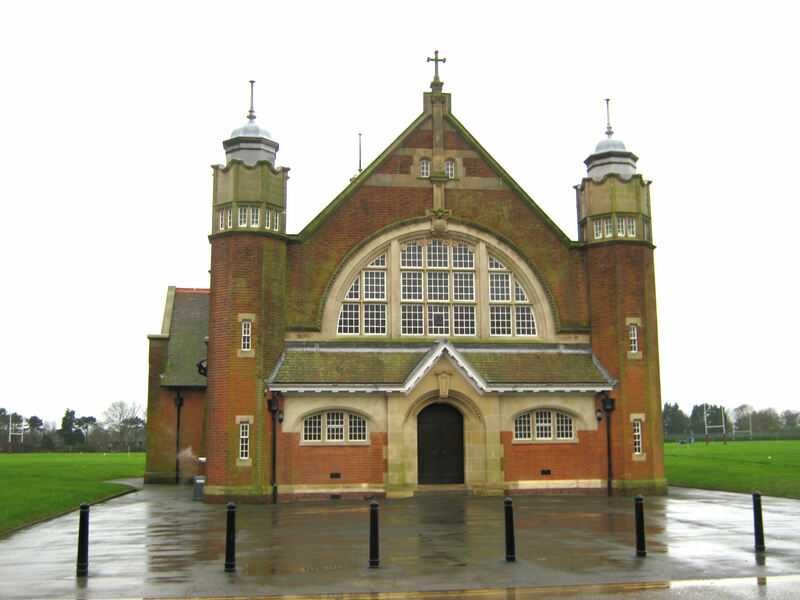 For the duration of World War I (1914–1918), the students were evacuated to Hutton, near Brentwood, Essex, while the school premises were used as a transit for troops going to and coming from the battlefields of Western Europe. In 1915, khaki replaced the colourful school uniform and during the War, 297 old boys won decorations while 145 gained commissions from the ranks. However, 247 old boys or Dukies, as they were – and still are – affectionately called, were killed. At the end of World War I and for over two years after, ‘Spanish Flu’ was killing healthy folk, indeed, the infection was said to have killed more people than the War. The Dukies were at Hutton when it hit the school and 293 cases were reported. 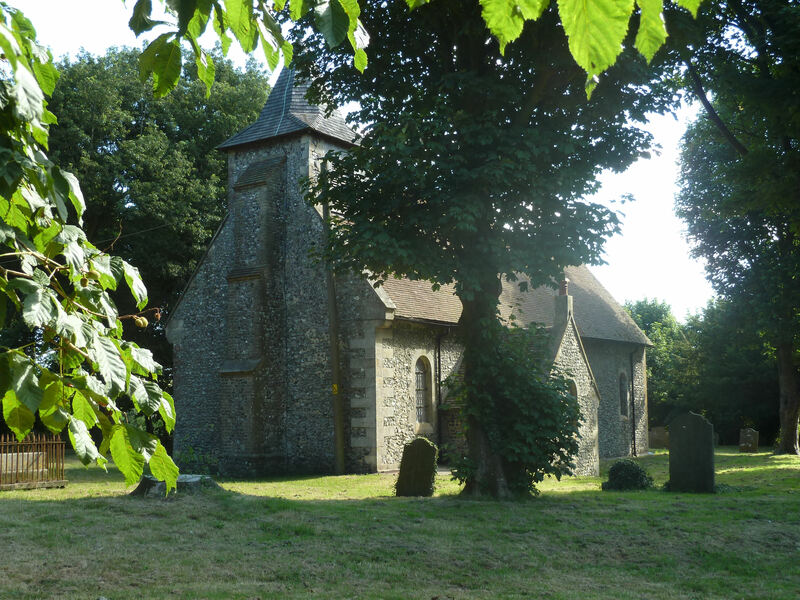 Prior to the War, six pupils had died due to illness while at the school and were buried at St Martin’s Church, Guston. A further six boys, who died between 1929-1973, were also buried at Guston. Because the village is some way from the school, all the funeral services were held in the school chapel. Then the boy’s friends, Company or house provided a guard of honour and accompanied the coffin, mounted on a carriage to Guston churchyard. The school at Dover reopened in September 1919 and two years later, the curriculum was reorganised to comply with national secondary education. Nonetheless, it was still run as a boys’ battalion with the various boarding houses seen as military companies under pensioned warrant officers. The former school uniform had replaced the khaki for when the Duke of York – later George VI (1936-1952) – carried out an inspection in March 1921. In December of that year, a New Warrant was issued for the governance and management of the school. The Duke of Connaught (1850-1942) was appointed President and the administration was vested in a Board of Commissioners responsible to the Army Council. Priority for the selection of boys for admission was laid down as orphans whose fathers had been killed in action or had died on foreign or home service. Others who could be considered included those boys who had lost their mothers and although their fathers were alive, they were on duty abroad. Occasionally, if there were spare places, boys from large families were considered. 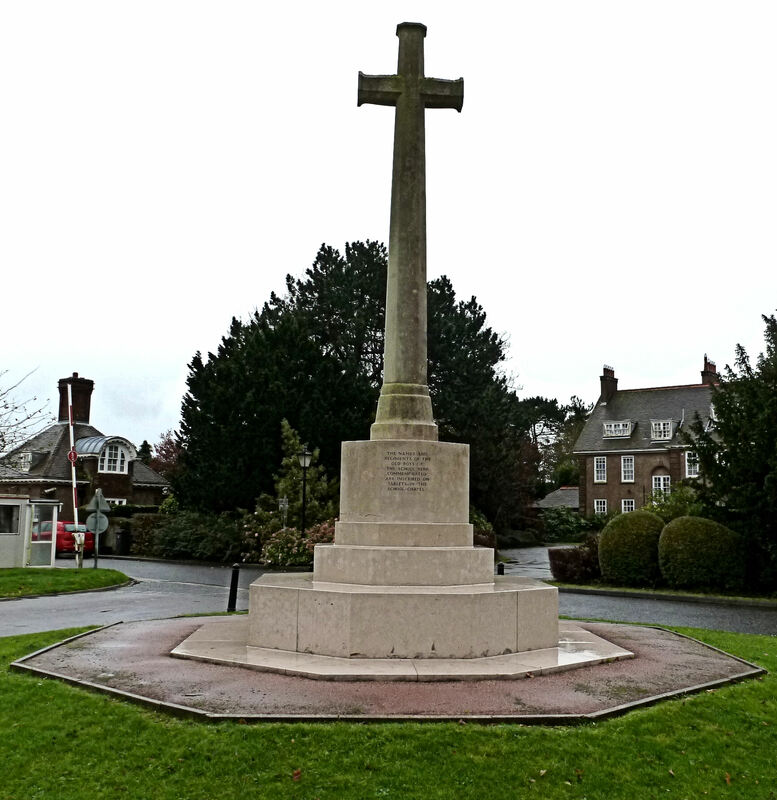 Duke of York’s Grand Memorial Cross to the 247 old boys killed during World War I. Following World War II, the names of former pupils killed were added. Albeit, one criterion dominated, only legitimate children of warrant officers, NCOs, or men, or of an officer originally enlisted on a long-service attestation in the Regular Army but afterwards promoted to a commissioned rank, were considered. The age of admission was between nine and eleven as long as the boy was up to the medical and educational standard. The pupils were allowed to remain at the school until they were nineteen years of age as long as they intended to go straight into the Army, if not, they were to leave when they were fifteen. In 1921, a scholarship was founded – as a war memorial to old boys – which enabled a boy from the school to go either to the Royal Military College, Camberley or the Royal Military Academy, Woolwich. 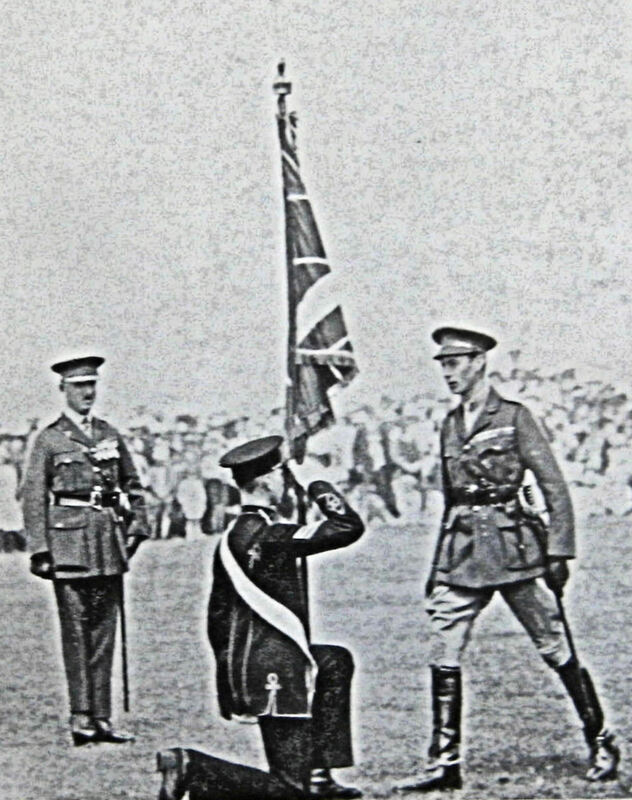 The Duke of Connaught unveiled the Grand Memorial Cross, in June 1922, to the 247 old boys killed during World War I. Dover’s Mayor, Charles Sellens, and the Corporation of Dover attended. 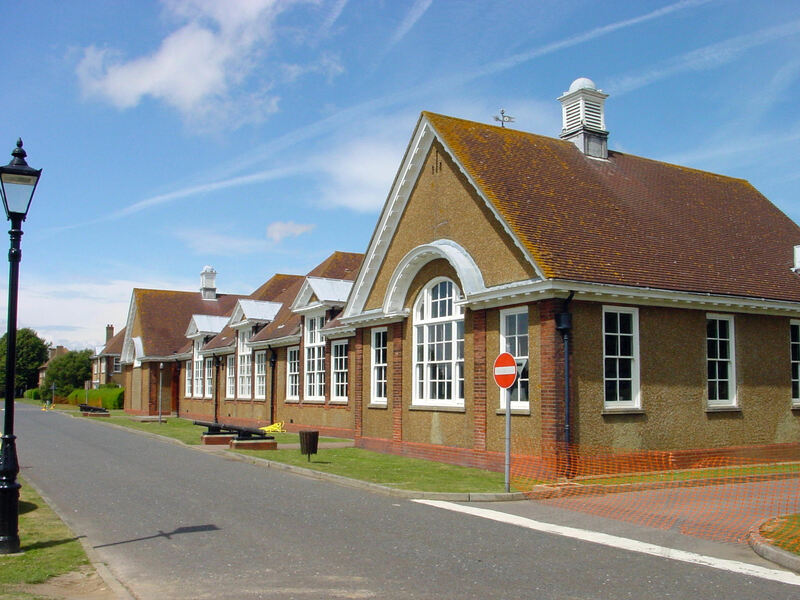 That year the Hibernian School moved from Dublin to specially altered facilities at Shorncliffe, Folkestone. They only stayed two years before their school was amalgamated with the Duke of York’s on the Guston site. One concession was made to the former Hibernian pupils, they could wear green socks. The following year a deputation from the school went to Buckingham Palace to present a wedding present to the Duke of York and Lady Elizabeth Bowes-Lyon, (later Queen Elizabeth the Queen Mother and Lord Warden). It was she who welcomed the boys. The following year, the Duke of York again visited the school and presented new colours. The first colours had been presented by George IV (1820-1830) in 1825 and were replaced in 1897 by the then Duke of York (created in 1892), later Edward VII (1901-1910). Sports was definitely part curriculum and the school had a particularly strong hockey team, successfully pitting their ability against local and military adult teams at Crabble. June 1925 saw more than 100 red-coated Dukies visit Calais along with the Mayor Sidney Livings and other Dover officials. They were guests of the municipality and the French town gave them a splendid welcome. The official reception was held at war battered Hotel de Ville where some of the boys gave an exhibition of gymnastics. On the second of the three-day visit, the boys laid wreaths at two war grave cemeteries. This was of national interest in both countries as all the boys were orphans and their fathers had been killed in World War I. 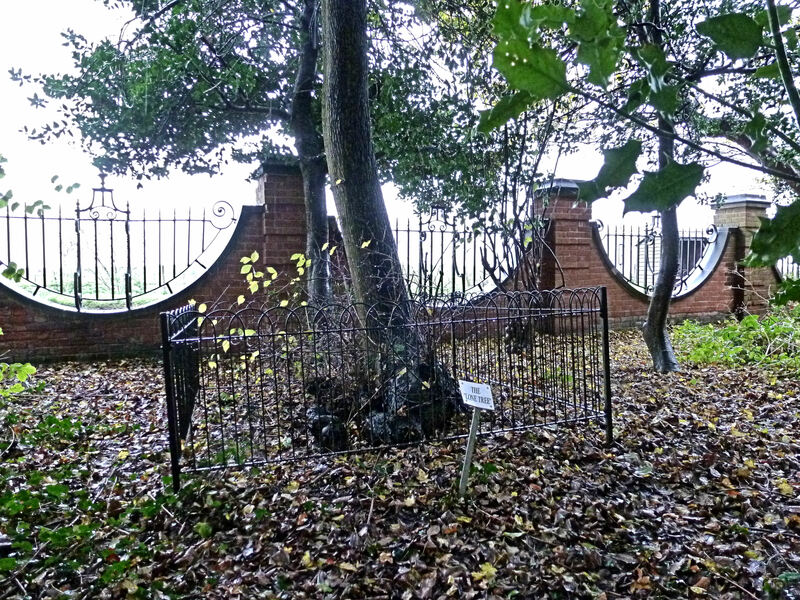 Some had been buried in one of the two cemeteries visited. At Etaples, the boys laid a wreath on the grave of a single British soldier. This, they paid for and organised the event themselves giving the instruction that no ’grown-ups’ were to attend. The father of the small boy who carried the wreath was buried in that cemetery. An edict was issued in the 1930s stating that boys’ names could be registered between the age of 8 and 11 years, ‘but cannot under any circumstances, be considered by the Selection Board of His majesty’s Commissioners before they reach the age of 9 or after they have attained the age of 11 years.’ At that time there were 420 places and was entirely maintained by funds voted by Parliament. The boys were evacuated to Saunton Sands Hotel, near Braunton, north Devon for the duration of World War II and the Dover school became a military transit camp. At about 11.00hrs on Wednesday 2 December, with no warning, four enemy planes flying very low suddenly attacked the school. They opened fire with cannon shells that did a significant amount of damage but there were no reported casualties. Following the War the school was given the accolade the ‘Army’s own public school,’ although the pupils were none fee paying. The motto ‘Sons of the Brave’ was emphasised and the school song, ‘Play Up, Dukies’, which mentions the Lone Tree (see below), was sung loudly by pupils, former pupils and their relatives and friends at the opening function. In 1946 the first professional teachers were appointed to the staff and two years later the Sergeant-Major housemasters were replaced by Royal Army Education Corps Majors and civilian teachers. Shortly after the curriculum was changed with the emphasis on the academic and a grammar stream was introduced. Army trades ceased to be taught in 1948 and that year rugby became the major winter sport. On Whit-Monday 1947, the first public television demonstration in Dover took place at the Dukies school fete but it was not until 1959 that Dover received viewable television pictures. With the academic changes at the school, came a change in the uniform from service dress to army battle dress for every day wear. Four years later, ‘Blues’ or No 1 Dress uniforms were provided for parades. In 1965 civilian style school uniforms replaced the army battledress. Kent Schools’ sports championships were staged at the school in June 1955 and in 1961 the school was divided into junior and senior houses. In 1966 the post of School Commandant was abolished and the role combined with that of the Headmaster. The ‘Dukies’ band regularly participated (and still does) in the town’s and national events. In 1980, the 70 strong band headed the final parade of five of the remaining ten members of the Dover branch of the Old Contemptibles Association, who took the salute for the last time. The Nye Hall opened in 1993, providing a theatre for the School. In 1994, the Dukies re-admitted girls for the first time since 1840. That year the day uniform was changed and the Lindsay tartan was adopted for the girls kilt. Five years later, in 1999, the first civilian headmaster in modern times was appointed. In 2007, due to national cutbacks, the post office at the school closed coinciding with the retirement of the post office manager. The building is now a meeting place for students as a tuck shop. 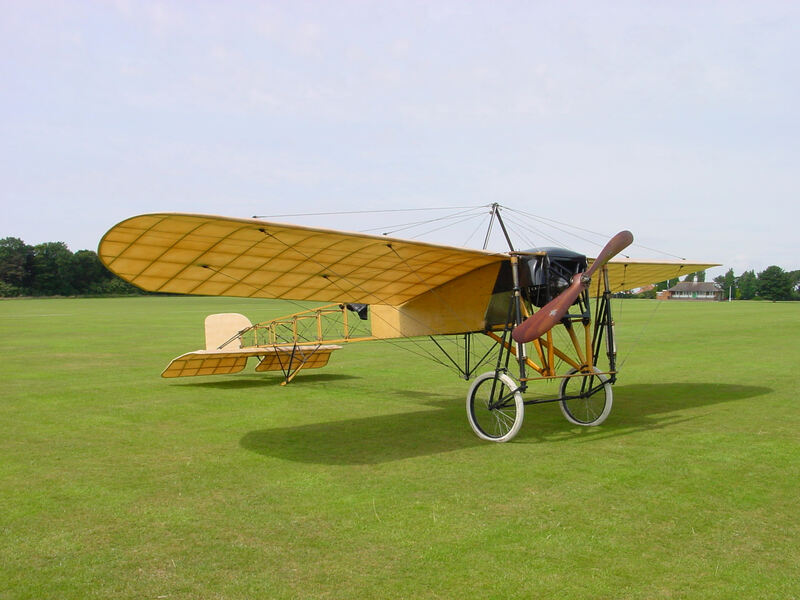 The School hosts many events and significantly in 2009, thousands of folk, including this author and her husband, went to the Duke of York’s to celebrate the centenary of Louis Blériot’s historic flight across the English Channel. That year also saw the School celebrated it’s centenary of being in Dover. The following year (2010) the Duke of York’s became an academy sponsored by the Ministry of Defence. The School has, at the time of writing, 450 students but it is part way through an expansion programme to accommodate 700 students. The age of admission these days is 11years and all students are full boarders. Applicants must have a British or European Economic Area passport. The original Duke of York’s in Chelsea is now the home to the Saatchi Gallery where the School was thrilled to be able to launch the new Dukies’ Association in September 2013, encouraging former Dukies to keep in touch with their old School. Play up Dukies! Play up Dukies! Be it peace or be it war, Play up Dukies! As you fathers did before, Play up Dukies! Play the game! Play the game! Play up Dukies! Duke of York’s school website: http://www.doyrms.com. This entry was posted in Armed Services, Duke of York’s Royal Military School and the Legend of the Lone Tree, Duke of York’s Royal Military School and the Legend of the Lone Tree, Schools and Education. Bookmark the permalink. Fantastic article, informative and exciting. The reader is transported back in time in vivid colours and descriptions, and moves on through the decades to our present day.